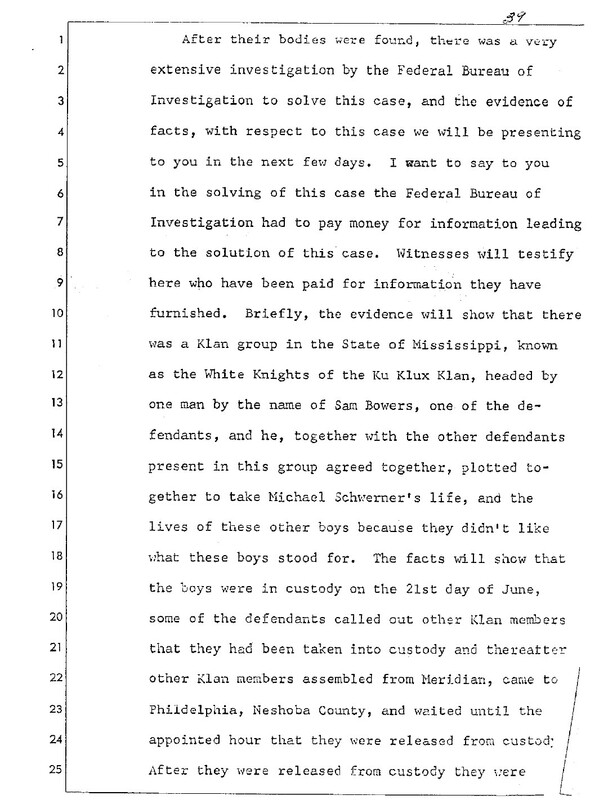 2,648 pages of Federal trial transcripts of the case United States v. Price, stemming from the murders of James Chaney, Andrew Goodman, and Michael Schwerner, also known as the "Mississippi Burning" incident. 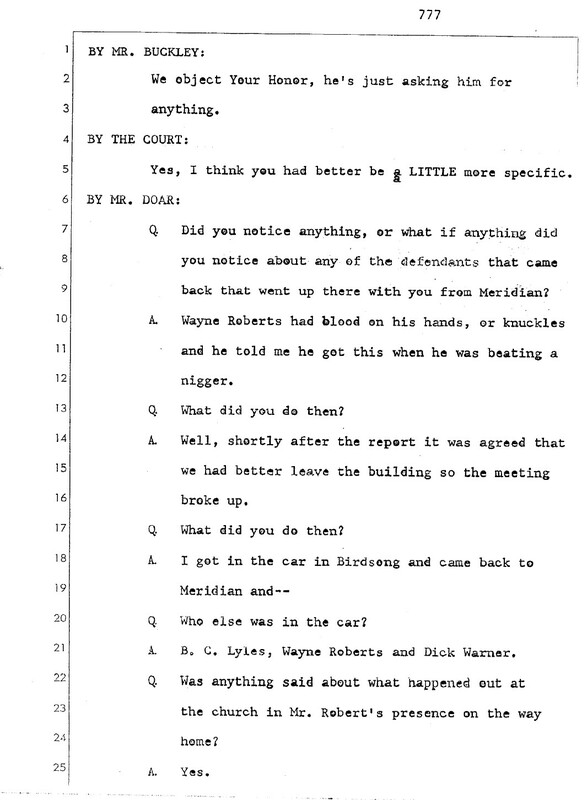 Trial transcripts from Department of Justice's Civil Rights Division's 1967 prosecution of individuals charged with the violation of the civil rights of James Chaney, Andrew Goodman, and Michael Schwerner in the United States v. Price, et al. On June 21, 1964, several individuals conspired to murder civil rights workers James Chaney, Andrew Goodman, and Michael Schwerner in Philadelphia, Mississippi, one day after the three had arrived in Mississippi to assist in efforts to register African-American voters. Deputy Sheriff Cecil Price approached the civil rights workers while they changed a tire on the car by the side of the road. The Deputy Sheriff alleged that the car had been speeding, arrested the workers, and placed them all in jail � holding the two passengers for "investigation." Deputy Sheriff Price fined the car's driver James Chaney $20.00 and then released the trio at 10:00 P.M. ordering them to leave Neshoba County. Deputy Sheriff Price escorted the civil rights workers to the edge of town on the road towards Meridian, Mississippi. The civil rights workers never arrived in Meridian. On June 23, 1964, on information provided by residents of a nearby Choctaw community, Special Agents of the Federal Bureau of Investigation (FBI) found the charred remains of the civil rights workers' Ford station wagon eighty feet off the highway on an abandoned logging track. 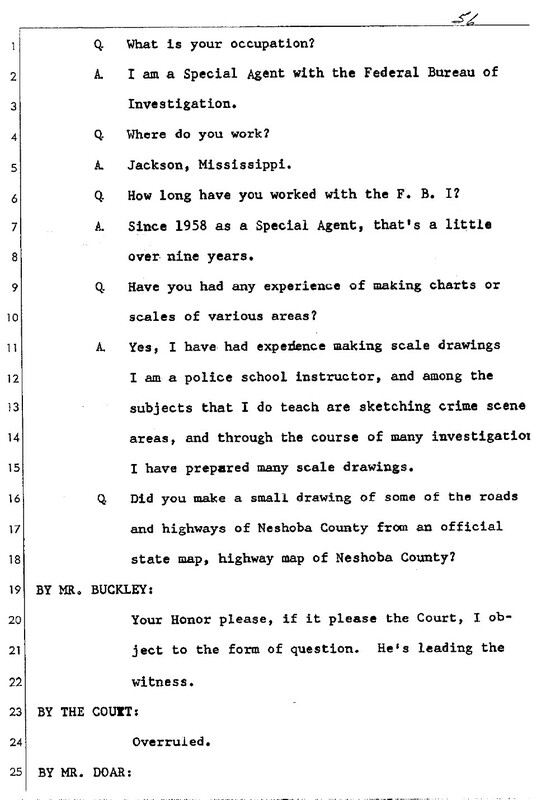 After an extensive investigation in which the FBI offered a reward for locating the victims, on August 4, 1964, investigators discovered all three civil rights workers' bodies buried in an earthen dam on a farm six miles southwest of Philadelphia, Mississippi.